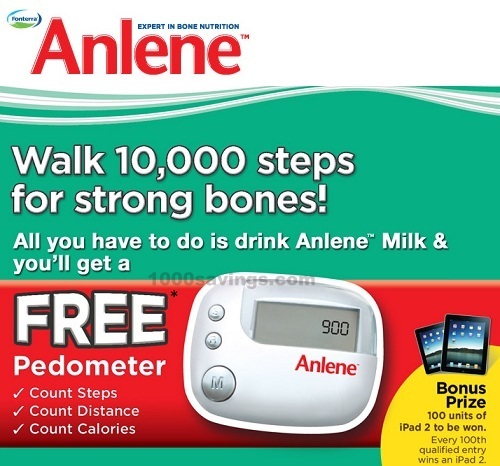 Get a FREE Pedometer with Anlene! 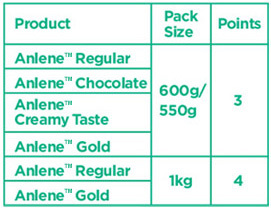 to count steps, distance & calories! Redeem a Pedometer (absolutely FREE) with every 12 points! 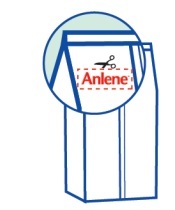 Step 1: Cut-out the logo from the back of the ANLENE pack and retain it. Step 2: Complete the Redemption Form, attach the logo cut-outs and mail to "PO Box 3338, 47507 Subang Jaya, Selangor Darul Ehsan". Step 3: The organizer will send the redemption item to your address. Subject to terms and conditions. Please refer to Redemption Form for further details. Each participant can only redeem a maximum of 5 units of redemption items.